(BOSTON, MA) Mayor Martin J. Walsh joined Huntington Managing Director Michael Maso and developer John Matteson of QMG Huntington, LLC to announce a partnership that will allow the Huntington Theatre Company to stay in its current home, the Boston University Theatre. Over 200 people attended the press conference, including Huntington Artistic Director Peter DuBois, Huntington Board Chairman Carol G. Deane, incoming Huntington Board Chairman David Epstein, incoming Huntington Board President Sharon Malt, Chief of Economic Development John Barros, Chief of Arts and Culture Julie Burros, and Chief of Policy Joyce Linehan, who joined Mayor Walsh on stage. Michael Maso said, “We are deeply grateful to Mayor Walsh and his administration for their essential role in helping find a solution which will allow the Huntington to not only continue to produce ambitious, large-scale works in a renovated and expanded Huntington Avenue theatre, but also to expand and enhance our services to audience members, young people, our neighborhood, and the theatre community of Boston. The Huntington is a local economic driver in the City of Boston, employing over 400 staff members and artists and generating more than $19 million annually in economic activity. Through its education programs, the Huntington provides programs for more than 33,000 youth and community members annually, many of them from Boston’s neighborhoods. QMG will develop the properties that now hold the Huntington’s production center, and the Huntington will relocate its scenic, paint, and prop shops in order to another location. More details will emerge in the coming months as the design and review process of the development is finalized, and in order to succeed the Huntington will embark on a major new capital fundraising campaign. The City of Boston is currently leading Boston Creates, Boston's cultural planning process, designed to create a long-term plan to prioritize, coordinate, and align public and private resources to strengthen cultural vitality in the City. Over the past year, the Boston Creates team undertook an extensive community engagement, holding three town halls, 118 community conversations, more than 80 focus groups and meetings, an online creative engagement participation survey and a crowd-sourced mapping of cultural assets. Using the data obtained through the process, the team worked closely with the Boston Creates Steering Committee and Leadership Council to develop a draft plan for public feedback. The final plan will be released this summer. 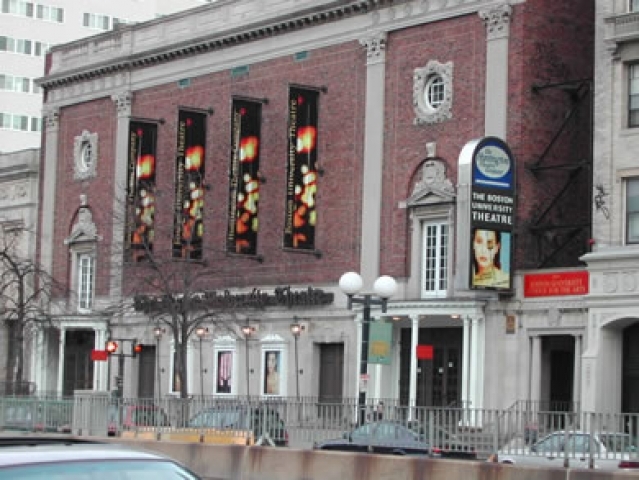 The Tony Award-winning Huntington Theatre Company is Boston’s leading professional theatre company and a cornerstone of Boston’s theatre community. The Huntington helps drive the local economy, enhances education for youth in Boston and across the Commonwealth, and helps build a vibrant, thriving community on the Avenue of the Arts and in the South End. The Huntington Theatre Company draws 200,000 audience members a year to its two venues – the BU Theatre on Huntington Avenue and the Calderwood Pavilion at the BCA in the South End. The Calderwood Pavilion at the BCA was Boston’s first new theatre complex since 1925, and in addition to serving as the Huntington’s home for new plays, it services as an artistic hub for dozens of smaller theatres, performing groups, and community organizations each year. "I am delighted to learn that the theater will be saved, restored, and continue to offer performances and classes for the Greater Boston community."